Bob Bratina seeks the Liberal nomination to run for the Hamilton East-Stoney Creek riding in the 2015 Federal election. Given his track record as Mayor of Hamilton, he has the potential to make a good backbench Member of Parliament. As Mayor, Bratina has introduced almost no motions and said almost nothing during committee and council meetings. The man who infamously said he is "not a champion of very much in life" may be better suited to a job in which he does not have to articulate a unique vision or develop his own policy. He also loves ceremony, can recite partisan talking points and is excellent at extemporizing on nostalgic themes. These habits will serve him well as a backbencher. However, his tendency to manufacture conflicts and alienate colleagues could pose a problem if he ever has any ministerial ambitions. Bratina was elected in October 2010 with 37.5 percent of the vote. He ran a lightweight campaign on a progressive voting record and a hazy platform to do something non-specific about amalgamation, "work with all levels of government to bring light rail transit to Hamilton", and "provide real and effective leadership to our City Council". Yet since the start of his mayoralty, he has brought forward almost no policy whatsoever. The only signficant motion to his credit came right at the start of his mandate in January 2011, when he and Hamilton Tiger-Cats owner Bob Young held a joint press conference to announce their proposal to break the Pan Am Stadium logjam by rebuilding Ivor Wynne. This proposal did not address the City's goal of building community and growing the tax base, or the Pan Am goal of promoting high-performance amateur sport (in fact an amateur sports field was removed as part of the plan), but Bratina believed Council's only priorities were to retain the pro sports team and avoid a tax increase. The West Harbour was originally chosen through a comprehensive, years-long stadium site selection process that determined the site would achieve several important city-building objectives in addition to providing the team with a new, high quality facility - and would have allowed the Ticats to keep using Ivor Wynne until the new stadium was complete. The site selection process included the Ticats as partners, and they raised no objections to the West harbour until the decision had been finalized, at which point they stated they would "never" play there and demanded an alternate location next to a highway and surrounded by parking. The impasse continued for six months while the City frantically reconsidered various alternate locations that had already been rejected. The last-minute proposal to stay at Ivor Wynne had the main benefit of allowing the Ticats to save face. The Ticats also insisted that they could not be economically sustainable at the Ivor Wynne site, citing exactly the same issues of highway access and naming rights visibility that they raised against the City's West Harbour location. However, Ivor Wynne held nostalgic value for fans and it would be less ignominous to pivot back to their starting point than to accept the West Harbour after going all-in. Council approved the Ivor Wynne rebuild plan at the end of January 2011. The Province agreed and we ended up with a new stadium rotated 90 degrees from the old one, not yet complete despite an early summer deadline. That is pretty much all Bratina has done in his entire term as Mayor - if you don't count his bizarre ongoing misinformation campaign against the city's light rail transit (LRT) plan (about which more below). Bratina came to power promising effective leadership that would unify Council and raise the level of decorum. It could certainly be argued that Bratina united our often-fractious council, but he managed to do this by uniting Council against him. When Bratina isn't doing nothing at City Hall, what he's doing isn't very constructive. He managed to earn an unprecedented censure from Council for the fiasco he created over the salary rate for his chief of staff, Peggy Chapman. A minor controversy erupted in December 2011 when Bratina gave Chapman a $30,000 raise to bring it in line with what chiefs of staff normally earn. Instead of simply explaining that Chapman had taken a $30,000 pay cut her first year, a decision Bratina actually bragged about in a talk he gave to the Hamilton Chamber of Commerce earlier that year, Bratina instead decided to blame the city's Human Resources department for the increase. When it turned out that Bratina himself had asked HR to review her pay, he backpedaled and issued a non-apology, followed by a quasi-apology when Council went in camera to consider a censure. Council decided to let the matter rest, but the story frothed up again in March 2012 when Bratina reverted to claiming that HR was behind the pay raise. An exasperated Ward 4 Councillor Sam Merulla brought forward a motion to censure the mayor, which Council approved in a 15-1 vote on March 28, with only Bratina voting against it. A citizen complaint about the incident led to an investigation by the City's Integrity Commissioner, Earl Basse, who determined that Bratina had violated the Council Code of Conduct. Bratina may have run on a campaign to bring LRT to Hamilton, but he spent most of his mayoralty trying to undermine and sabotage the city's LRT plan through a continuous barrage of confusing and misleading claims. During the summer of 2011, he claimed the city was "not hearing any kind of clamour from the public" and "no solid interest" from developers, that LRT was "not a priority" and would only make sense "if somehow a million people move to Hamilton over the next five years". Bratina told then-Premier Dalton McGuinty that LRT was not a Council priority, letting the Premier wiggle out of his own 2007 promise to fund LRT in Hamilton. 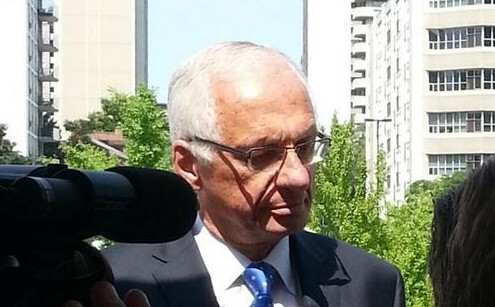 Bratina even tried to argue that the province had not actually promised to fund LRT after all. Meanwhile, City Manager Chris Murray suspended the Rapid Transit Office and Bratina claimed the city had to choose between LRT and all-day GO service. The Rapid Transit Office manager resigned after she returned from vacation to learn that her project had been unilaterally suspended. That act in itself cost the City at least a year of momentum on the LRT file. The broad public excitement and optimism that accompanied the 2008 rapid transit feasibility study has been increasingly difficult to sustain for the six years that the project has limped along, most of it under Bratina's obstructionist leadership. Bratina insisted it would be inappropriate to champion LRT until after Council had approved the final plan going to Queen's Park, after which he promised he would begin to champion LRT. That clearly didn't happen. He claimed that Premier Kathleen Wynne told him Hamilton would have to choose between LRT and all-day GO service in Stoney Creek. It quickly transpired that Bratina wasn't even at the event where he was supposed to have spoken with Wynne. Bratina then denied the story and accused the Spectator of fabrication. However, the story was entirely consistent with the string of false and misleading claims Bratina had already made about LRT and was still making that very week - including a cringe-inducing performance on The Agenda with Steve Paikin and the bizarre claim that the Rapid Ready LRT plan Council voted to submit to the province was really just a plan to improve bus service. An attempt by Councillor Brian McHattie to reaffirm Council's understanding that the Rapid Ready plan was an LRT plan turned into a debacle, with Chris Murray directly contradicting Bratina's tortuous interpretation of Rapid Ready and Bratina leaving his seat mid-meeting to rebuke Murray. 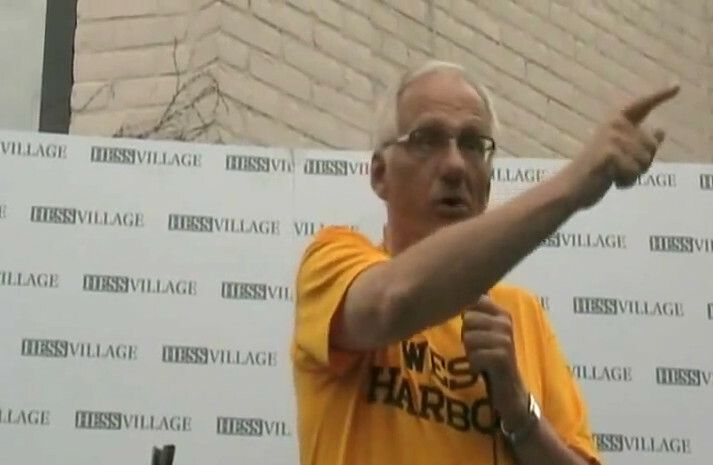 Ward 2 Councillor Jason Farr overhead the exchange and accused Bratina of being "awful nasty. This is terrible what you're doing." According to Councillor Merulla, "The tone was very aggressive and one, I would say, of a bully." Once again, Council asked the Integrity Commissioner to investigate. The Commissioner's report finally arrived seven months later. Basse concluded that Bratina's behaviour was "not appropriate" but stopped short of recommending another censure because Murray said he didn't feel intimidated or threatened by the exchange and accepted the mayor's apology. Bratina's relentless undermining went right through this summer through a truly bizarre blog post and follow-up radio interview, a series of misleading and head-scratching letters to LRT supporters, and another radio interview in which he continued to sow misinformation about every aspect of the city's LRT plan. It's no wonder Transport Minister Steven Del Duca feels the Province is not ready to make an LRT funding commitment to Hamilton yet. This Council managed to approve several significant policy decisions, including a new bike share program, a new protected two-way cycle track on Cannon Street, a comprehensive transit plan built around LRT, a new pedestrian mobility plan, movement to repurpose excess lane capacity for active transportation and community development, baby steps on two-way conversions, and significant progress in protecting heritage buildings from demolition. After a protracted debate, Council resisted the temptation of a new casino in the downtown core and oversaw lots of new private investment in downtown Hamilton, including several exciting condo, apartment and commercial projects and a new full-service grocery store. This all happened without - and in some cases despite - the guidance and leadership of our mayor. Bratina has done precious little with his term, and what he has done has mostly made it more difficult for the city to achieve its goals. So if Bratina is serious about becoming a backbencher MP in 2015, he needs to curtail his tendency to manufacture drama and conflict and instead play to his strengths: talking at events, sitting quietly in meetings and voting on initiatives that other people spent their political capital to develop. Another episode of " The stomach churns in Steel town" brought to you by those who have no critical thinking skills, the 37% that voted for this. You just can't blame the voters for this one. Yes, Bob was low on specifics, but he had built up a lot of goodwill in his time on Council. It was easy to be taken in by Bob Bratina as a guy who actually gave a toss about the city, and the lower city in particular. It didn't really work out that way, but I don't blame the voters on this one. Hopefully Bob will stick to his plans of leaving this job behind him. what a purposeless and mean spirited article. What a purposeless and mean spirited Mayor. What a purposeless and mean spirited post by a purposeless and mean spirited poster. Oh Bob...social media got you down again? Ryan, You probably don't appreciate and can't appreciate the iconic grounds of the IWS site but I do and many others do and regard these grounds as hallowed here in Hamilton with the the long historic history of our Tiger-Cats on these grounds. Yes, you and Fred and others didn't get the West Harbour as your stadium site (thank goodness, went down there today for a walk at the harbourfront and so glad this area is infested with a sports stadium with screeming football and soccer fans, I can imagine my sister with a visit from Toronto to the harbourfront for a first visit there and hearing screaming sports fans, she is not a sports fan, and would have said what a sad situation. The harbourfront was saved by Bob Young, thankfully, for a music ampitheatre and quite residential and light retail. Thank goodness!). I have full respect for Fred Eisenberger and he should receive another chance as Mayor, but he was totally wrong on a huge sports stadium at our waterfront. And that is my evidence-based take, of course everyone loves to use the term evidence-based how they see fit. Oops, mean't to say I so glad the harbourfront is NOT infested with a sports stadium. Apologies. Perhaps your sister will appreciate the dulcet tones of a freight train being assembled in the CN marshalling yard. Be genuine about the "waterfront" location that was proposed for the stadium. 'HamiltonFan' was stood down when the stadium site was finally decided. He has been reassigned several times since to support other corporate priorities. For further information, contact Scott Mitchell. It makes perfect logical sense why the West Harbour has been preserved to not include a monstrosity type sports stadium and now can be transformed into an arts and theatre district extending down from James St. N. Thankfully there were those that understood this and prevented, as I say, the area from being infested with a sports stadium. The people from out of town whom I have brought down to the harbourfront are awed by the beauty and tranquility and peacefulness. I can't imagine for the life of me if I brought them down with yelling and screaming sports fans how their image of the harbourfront would have been so much inferior. Yes, Bob Young and others were thinking and that is why they at least didn't allow a sports stadium to be built there. Others were not thinking, obviously. Yes, there is some inconvenience in the short term with the iconic and historic IWS site remaining the site of the new stadium and this is not what Bob Young and many others preferred but in the end, after all the politics, the two main points are one, the West Harbour is preserved for future generations for proper planning without a large sports stadium detracting from the beauty and arts aspect of what the area deserves and two, Hamilton now has a new sports stadium to showcase to the nation that we are a city that can do things in spite of politics and with the help of politics. Not only mean-spirited but simply inaccurate on so many facts. Just one reason why the stadium had to go to Cannon and Balsam: Zoning. The organized North End residents had no interest in a stadium in their neighbourhood. The zoning battle alone (think Red Hill) would have delayed the stadium beyond the PanAm games date. The PanAm Committee would have pulled their funding for a stadium altogether rather than risk not having the stadium in time for the games. By the time Bratina was elected it was too late to even rezone the East Mountain property. The only location in Hamilton zoned for a stadium was the Ivor Wynne property, hence that is where the stadium was built. Of course there was also the simple fact that 4,000 people couldn't get to and from a July 1 fireworks display in the WH without causing communting chaos. But let's not allow facts to get in the way of a good mud-slinging. Well said billsmith80. That is the reason as you say why the IW property was, in the end, the chosen site for the new stadium, which is what Hamilton wanted the moment Hamilton jumped on the provincial funding available for a new stadium. The site, obviously, was secondary to the issue of Hamilton obtaining a new stadium, hence which is why there is a new stadium as we speak. I might agree with billsmisth80 if it weren't for the fact that Bob Bratina was on the committee working with the Ticats BEFORE he got elected. What leadership did he exercise then with his friend Bob Young? Influence comes of being a serious guy, not just by virtue of the elected office you hold. And anyway, it was really Sophia Aggeloniti that saved the day.